​I was a member of the Stamp Club of Mobile in the early 2000s. Our club president, Charles Stallmach, was a stamp dealer. He would bring a large box of mixed stamps to each meeting and allow the members to browse through them and make purchases for 5¢ each, which was a donation to the club by Charles. At one meeting, Charles brought a box from a recently purchased collection, one that he only sparsely checked, if at all. 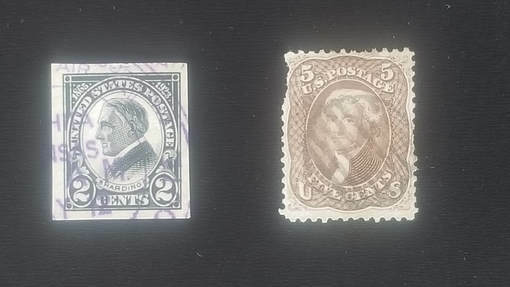 We were quickly finding several early U.S. three cent stamps, Scott 65s, and the grilled 88 and 94 3¢ers. I found a couple of them which have long since been mixed in with others in my collection. I do, however, recall that the two pictured here came from the box. My favorite is a beautiful Scott 611 (1923-25) Harding Memorial imperforate with a fine purple Wichita, Kansas dated air mail cancellation. Due to its margins and cancellation, it is easily worth double the CV of $4.00. The other stamp is a Scott 76, 1861-66 issue 5¢ Jefferson. Although the stamp is damaged, it has a nice (late usage) 7 bar in circle cancellation, and has a CV of $120.00. It is probably “worth” about 5% of CV ($6.00). Not bad for $1.00 box finds! ​One of my treasured "Dollar Box" finds was a 1936 Hindenburg Cover. While Hindenburg covers are not rare they are a fun way to explore one of our nation's aviation disasters. 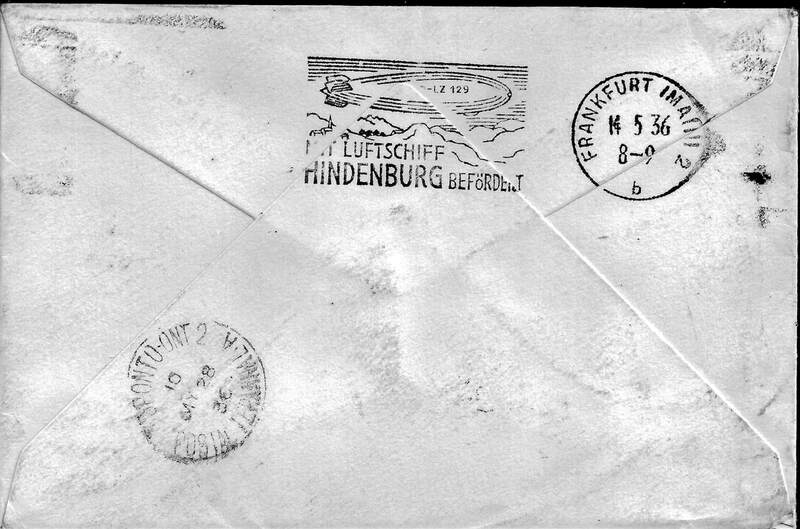 Looking at the front of the cover we find the "FIRST FLIGHT" cache from Lakehurst, NJ commemorating the Frankfurt, Germany to Lakehurst, NJ maiden flight. There are three stamps canceled, two 1923 "Golden Gate" 20 cent stamps and a 1934 6 cent "Winged Globe" stamp. The New York cancellation is difficult to read but you can make out May ?? and 19?? date. 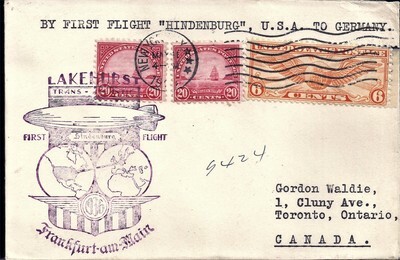 The typewritten line states this is by first flight "Hindenburg", U.S.A. to Germany. On the back of the cover we find two official cancellations. One cancel is Toronto, Ont. Canada on May 28, 1936 and the Frankfurt, Germany cancel of May 14, 1936. In addition we find an official Mit Luftschiff seal of the Hindenburg showing the air ship with its call sign of D-LZ 129,the D- (Deutsch) does not show up well. This envelope, while origin stamped in New York, NY, was land carried to Lakehurst, carried aboard the Hindenburg for the May 12-May 14: Lakehurst-Frankfurt and then went from Lakehurst, NJ to Frankfurt, Germany arriving on May 14, 1936. It then traveled back to Toronto, Canada arriving on May 28, 1936. 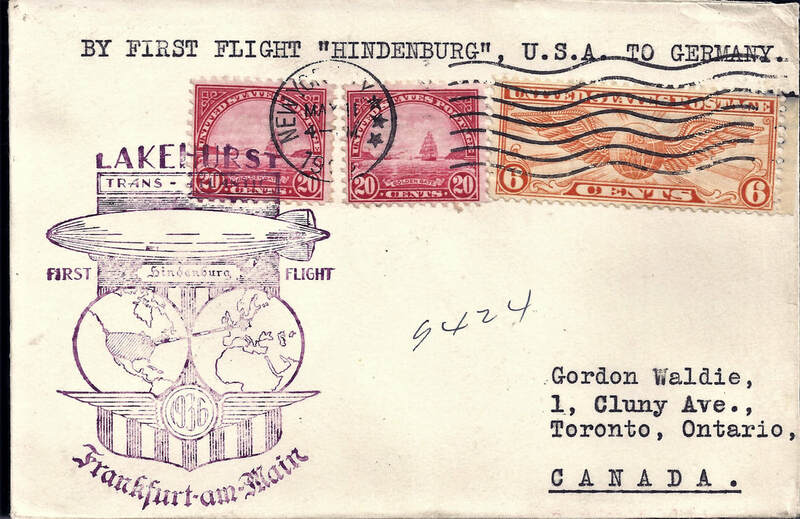 Hindenburg transported large amounts of mail and valuable freight in addition to providing passenger service. Hindenburg’s maiden flight to North America included 2,335 lbs. 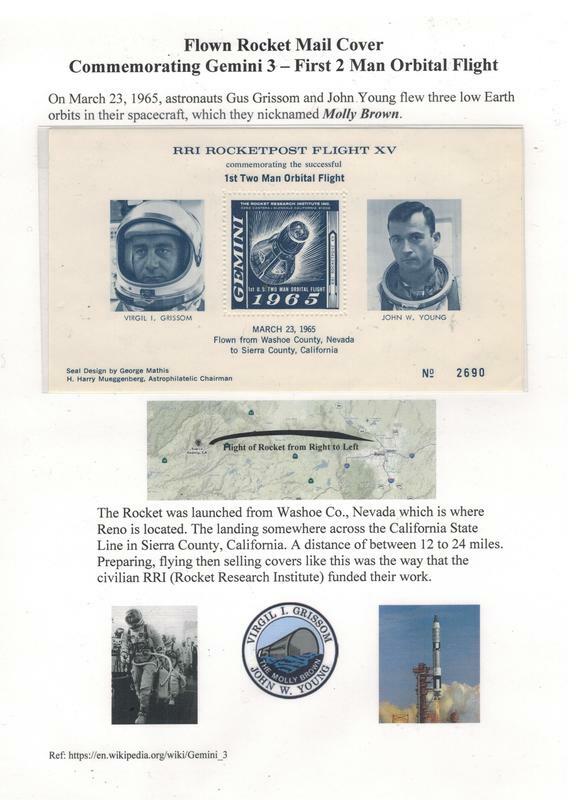 of mail, primarily first flight covers destined for stamp collectors rather than commercial, and because of the large quantity of mail, these covers are not generally valuable unless they are unique in some way, but they are wonderful (and easy to find) souvenirs of this historic flight. Later flights between Germany and North America carried between 200 and 520 lbs. of mail, including commercial mail as well as philatelic items, and flights within Germany and Europe also carried philatelic mail for collectors and zeppelin enthusiasts. Hindenburg Flight Schedule to the U.S.A. Passengers on the “Millionaires Flight” were leaders in the fields of finance, industry, government, and aviation. The guests included powerful financiers such as Winthrop W. Aldrich and Nelson Rockefeller; U.S. and German government officials and naval officers; and leaders in the aviation industry including Eddie Rickenbacker of Eastern Airlines, Jack Frye of TWA, Eugene Vidal, and perhaps most importantly, Juan Trippe of Pan American Airways. The flight was jointly organized by the Deutsche Zeppelin-Reederei (DZR) and Standard Oil of New Jersey (Esso), which supplied diesel fuel and hydrogen to the Hindenburg, and the passengers were hosted during the flight by Hugo Eckener, Ernst Lehman, and DZR’s American representative, F. W. “Willy” von Meister. NBC radio reporter John B. Kennedy did live airborne broadcasts from the ship over the NBC Blue and Red networks in the afternoon.